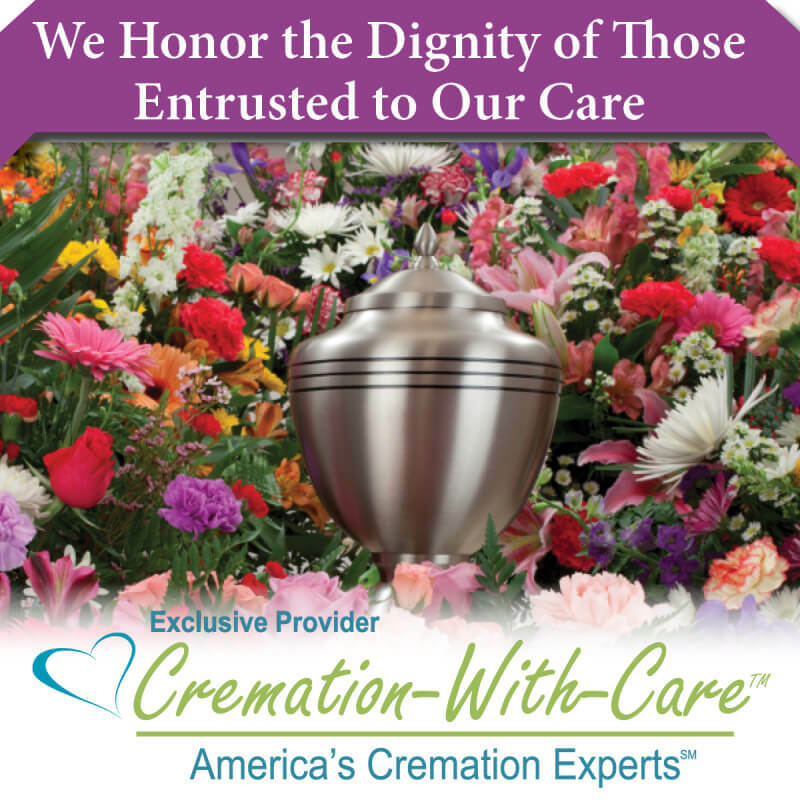 Our Funeral Home is a proud member of the Cremation-With-Care Provider Network. More families across America trust the knowledge and experience of their exclusive, local Cremation-With-Care funeral home provider than any other cremation resource. We pledge to honor the dignity of those entrusted to our care and offer the greatest measure of respect for your wishes. Every cremation is performed in accordance with the highest level of ethical cremation standards and procedures, because your trust and confidence is essential. Choosing cremation rather than burial does not diminish the value of a wonderful life. In fact, cremation opens the door to many different and unique options to honor your loved one. Cremation, like burial...is simply the disposition of the physical body of the deceased. It does not preclude you from having a Remembrance Gathering or creating a permanent memorial in a cemetery, mausoleum, or cremation garden that can be visited regularly by family and friends..
Our Remembrance Planner Professionals are accomplished listeners who are able to transform your ideas and thoughts into a perfectly themed and executed Remembrance Gathering designed expressly for your family. A Final Celebration will provide meaning and lasting memories for everyone in attendance. A Remembrance Gathering can be private for family members only or it may be a public reception, either before or after the cremation takes place. Our goal is to help you find joy in the way you choose to honor, remember & celebrate that wonderful life. It's our people who make the difference! A Final Celebration is no longer a day in the life, it's a lifetime in a day. Creating a beautiful and meaningful Remembrance Gathering to celebrate and honor the life of a loved one plays a significant role in our lives and is an essential part of the healing process. Select your loved ones favorite music, include special speakers and select a themed cremation casket and urn. Show keepsake videos, display photo boards, collages, or a memory table with pictures and mementos of your loved one to highlight treasured thoughts and memories. The remembrance of the heart, spirit, and soul of your loved one is a treasure which only you and your family can truly know and cherish. A Cremation Urn captures a person's individuality and personality while honoring a life that has been loved and lost. Cremation-With-Care funeral home providers offer a diverse selection of worthy cremation vessels to choose from in many different styles, themes & hobbies, as well as works of art that will be displayed & enjoyed for generations. Personalization is available on most urns which can be simple in design, themed, or artistically created in a wide range of materials, shapes and colors. In addition, Keepsake Vessels and Cremation Jewelry serve as an enduring symbol of a wonderful life. Treasure those memories by keeping them close to heart.